The San Diego sailing yacht Jada is designed for blue water ocean racing. 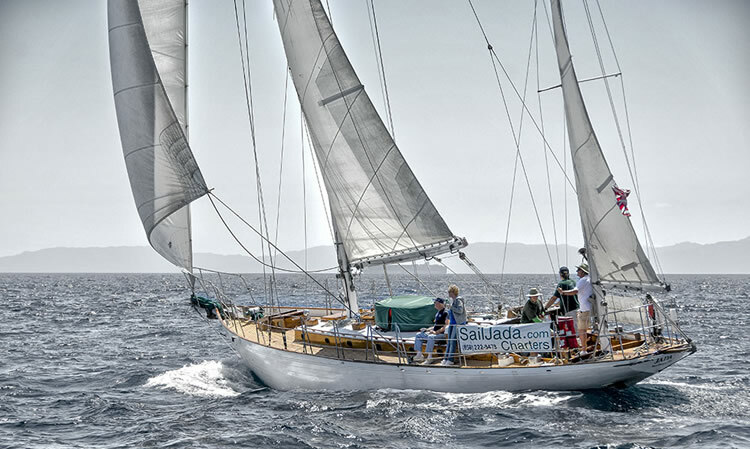 She was built over seventy years ago as a solid and fast passage making vessel, and even today with the advent modern fiberglass sailing vessels, Jada is still considered a fast boat. 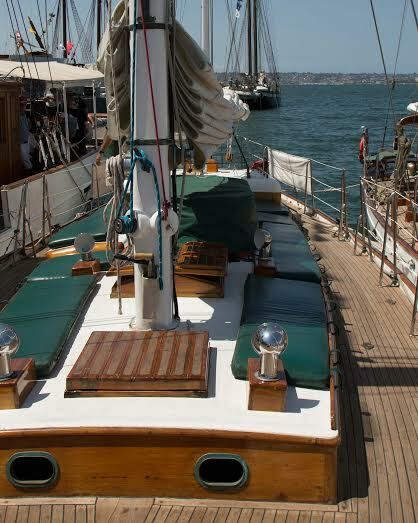 Her full keel and yawl rigged sails make her a very stable and safe vessel, even for crossing oceans on extended voyages. Today it would cost nearly $2,000,000.00 to design and construct Jada to her original specifications. 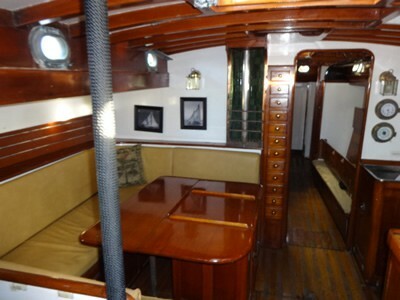 Below deck Jada’s interior was created by master craftsmen using the finest teak wood available providing a warm glow to all passengers aboard. 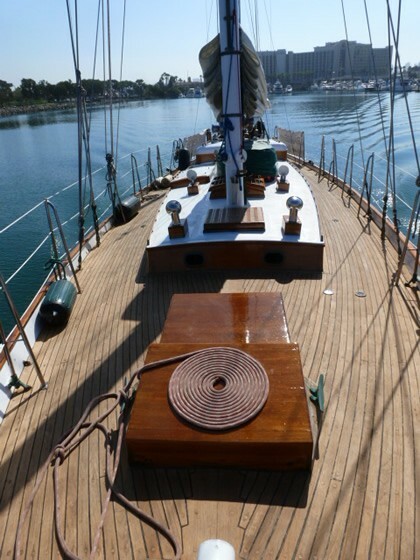 Her cabin sole (floor) is also teak with gorgeous holly inlays capturing the quality of a bygone era. 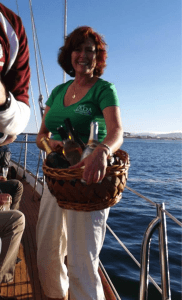 Rare at the time of her construction is Jada’s hard-dodger cockpit cabin, which keeps her passengers warm and cozy when conditions are less than ideal.